Oh, ribs. How do we love thee? Let us count the ways, starting with the recipe below that slathers them in a spicy combination of Cajun flavors. Some tangy, crunchy coleslaw and a hunk of moist cornbread are the perfect accompaniments. Don’t forget the napkins! Use your favorite sweet-spicy barbecue sauce here. I like to use one that’s very spicy, but the spice rub adds a bit of heat directly to the ribs, so you may want something that leans more toward the sweet side to mellow things out. A tall glass of sweetened iced tea will also do the trick. In a small bowl, prepare the seasoning mix. Stir together the sugar, Italian seasoning, paprika, salt, garlic powder, onion powder, pepper, cayenne, and thyme. Cut the rack of ribs into portions that will fit into your slow cooker. Rub the seasoning mixture all over the ribs, coating both sides well. 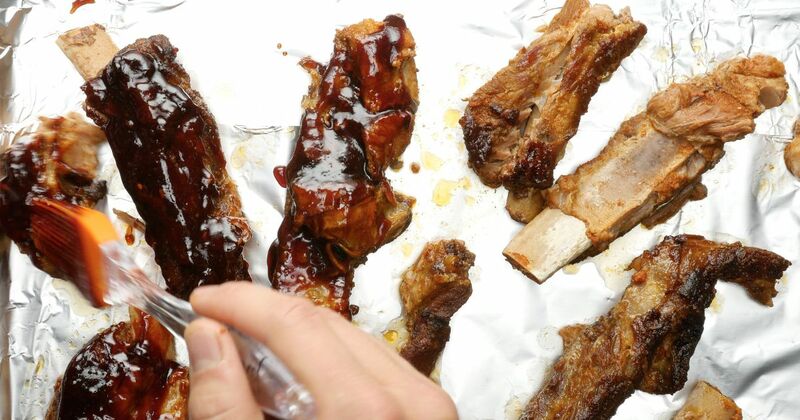 Spread ½ cup of the barbecue sauce over the ribs, coating all over. Place the ribs in the slow cooker and add ½ cup of water. Cover the slow cooker and cook on for 8 hours on low heat. 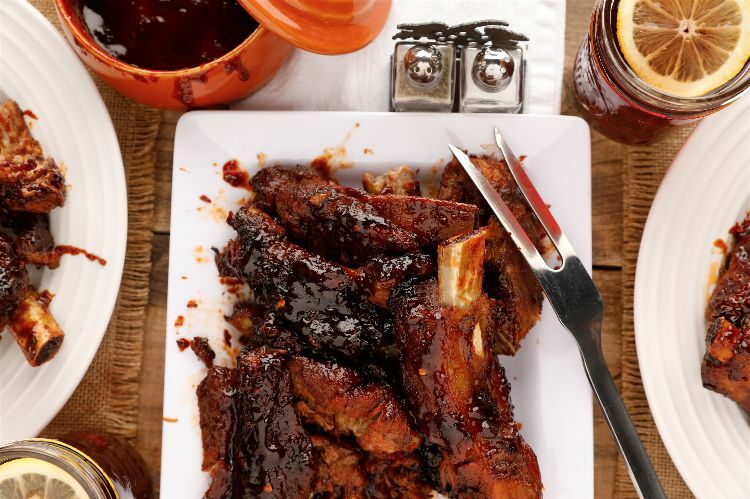 Brush the remaining ½ cup of barbecue sauce over the ribs just before serving.